A Shorcut to the Slimmest You! Ever wonder how the stars are so thin, like Anne Hathaway, Claudia Schiffer and Kate Moss? It is because they are vegan. But vegans are also strong too like Clint Eastwood, Rich Roll (Ultraman Competitor), and Patrick Barboumain (Germany’s Strongest Man). These people understood that meat was making them fat and unhealthy. Imagine for a second a slab of cold beef. Focus on the fat globules that well up and solidify on the top. Now imagine what that is doing to your body. Also consider the unknown animal hormones and antibiotics that are given to cattle and poultry so that they can be raised in a factory setting. Those additives are put there by greedy corporations who choose profits over your safety and leave you to deal with the aftermath. They don’t want you to be a well-informed consumer and to know the solid evidence (see REF below) that animal proteins are actually destructive for your body and cause increased rates of cancer, obesity, heart disease and early death. Also, people who choose a vegan diet are thinking not just about tomorrow’s competition, but about their long term health. They don’t want to burn out too fast, instead they want to be the last one standing. You are working hard now, but you also want to be healthy enough to enjoy it later. As a vegan, you’ll continue crushing the competition even into old age. Being healthy is being lean, and being lean is most easily achieved with a vegan diet. No mess! No fuss! Vegans don’t need to stop eating or withhold their cravings to eat. Simply eat all the plants you want! You will not gain weight. It will give you the edge you need to outperform others. You will slim down to your old self — the way you were when you were leaner and younger. You will clean your system and be efficient. No more colon cleansers. Being vegan is the true shortcut. It is easy, safe, healthy, fast, and best of all, it is real…no gimmicks. Subscribe now to DIETnosis.com. 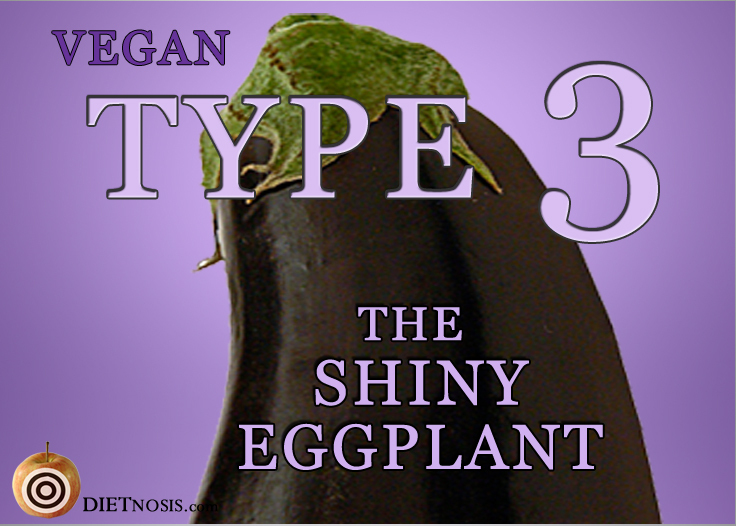 Recognize one of the Vegan Diet Personality Types in someone you know? Share this post with them, and see if you have them pegged. It may save their life! I want to learn more about Enneagram Type Three!